Born into a family of musicians in Kent, England, Charley and Hattie are The Webb Sisters. Dynamic performers with expressive voices and plangent harmonies, The Webb Sisters are multi-instrumentalists and songwriters of originality and intelligence creating enthralling live performances. Their singing and playing (harp, guitar, mandolin, piano, drums) draw from the folk and pop traditions of Britain and the United States. 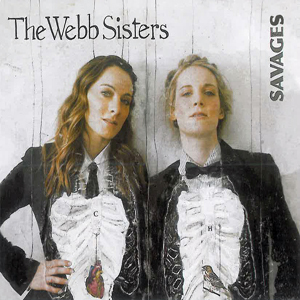 The Webb Sisters have recorded three albums, building a following on their travels, achieving Album, Single and Record Of The Week on iTunes and BBC Radio Two. Charley and Hattie have performed twice for Princess Anne and once for Queen Elizabeth. Their latest album ‘SAVAGES’, was produced by multiple Grammy Award winning producer Peter Asher and features ‘Baroque Thoughts,’ winner of the International Music Award for ‘Best Adult Contemporary Song’. Charley and Hattie received an invitation to sing on Sting’s album ‘If On A Winter’s Night…’ and on Natalie Maines’ (The Dixie Chicks) version of ‘God Only Knows’, which was featured on the series finale of HBO’s ‘Big Love’. 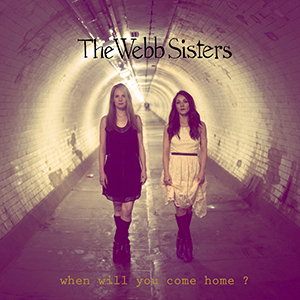 The Webb Sisters have toured with Jamie Cullum, Rufus Wainwright, Jason Mraz, James Morrison, Kubb, Katie Melua, Leya and Joe Echo. The Webb Sisters represented the United Kingdom at America’s 400th Anniversary celebrations, contributed songs to several major TV shows (such as “Cane” on CBS), and recorded a pro-peace song ‘Fortune of Soldiers’ for a Judy Collins tribute album ‘Born To The Breed’ alongside Dolly Parton and Chrissie Hynde.